Model LP22LED is a unique, multi-pattern LED light ideal for a variety of industrial applications requiring low-profile signaling. The unit mounts easily through any 0.8" (22 mm) diameter hole; a locking ring secures the light firmly in place. 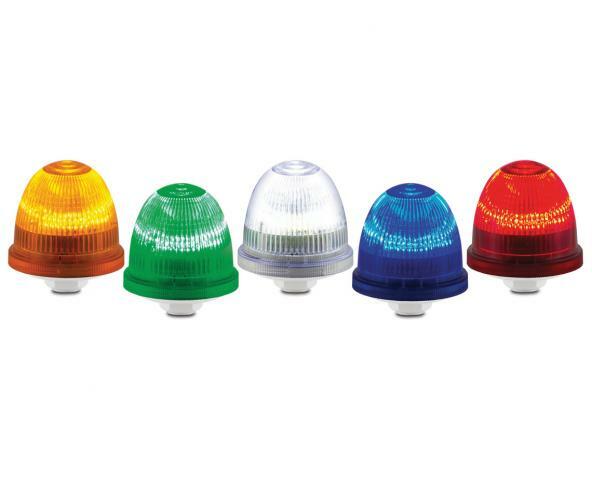 The enclosure consists of a polycarbonate dome in five colors (Amber, Blue, Clear, Green and Red) and is rated Type 4X. The LP22LED has four flash patterns (steady light, single flash, double flash and triple flash) selectable via dip-switch.